Discover the cosmopolitan city of Munich during a 1 hour Munich sightseeing “CITY TOUR” in a unique, unusual and unforgettable way. From the upper deck of our open top buses, you have an unhindered view of the the most important and beautiful sights of Munich – the friendly city with heart. Take your lovely memories of Munich home and experience the “ORIGINAL TOP DECK MUNICH SIGHTSEEING CITY TOUR”. Our Munich sightseeing tour in 8 languages offers you interesting and professional commentaries even in your native language. The sightseeing “CITY TOUR” Munich operates daily. More detailed information on the schedules of Munich sightseeing city tours can be found on the page “Schedules”. * Children: All children from 5 up to 15 years. Children under 5 years are free of charge (without being entitled to a seat). Get an overview of the course of our three different tours (City Tour / Nymphenburg-Olympia Tour / Schwabing Tour) on the basis of our current tour map. Print@home online tickets are valid for 1 year from the date of purchase and can be redeemed during this period – so you remain extremely flexible. Print@home Gift Certificates for the “CITY TOUR” can be redeemed within 4 years from the date of purchase and are exclusively available online. Get to know the cosmopolitan city of Munich for a whole day in a unique, unusual and unforgettable way with the “ALL TOURS – Day Ticket”. From the upper deck of our open top busses you have an unhindered view of the most important and beautiful sights of Munich, the friendly city with heart. The “3 TOURS – DAY TICKET – Sightseeing Tour Munich” offers you for a whole day all important Munich sights like the “Schloss Nymphenburg”, the “Olympic Area”, “Schwabing” and the “Historical City Centre”. You can ‘hop on’ or ‘hop off’ the bus at overall 12 bus stops whenever you like. The “3-TOURS Sightseeing Tour Munich” offers you interesting and professional commentaries in up to 8 languages. Take your lovely memories of Munich home and experience the “ORIGINAL TOP DECK MUNICH SIGHTSEEING TOURS”. More detailed information on schedules for our CitySightseeing Tours Munich is available on the page “Schedules”. MUNICH – complete and unforgettable. All Munich sights in 3 “Hop on – Hop Off” tours. You decide WHEN, WHERE and HOW OFTEN you ‘hop on’ or ‘hop off’ the bus. 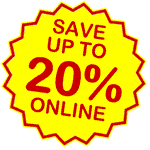 …or buy a 2-days valid ticket for ONLY 4 Euro more! Print@home Gift Certificates for the “ALL TOURS – 1 DAY” can be redeemed within 4 years from the date of purchase and are exclusively available online. Get to know the cosmopolitan city of Munich for a whole day in a unique, unusual and unforgettable way with the “ALL TOURS – 2 Days Ticket”. From the upper deck of our open top busses you have an unhindered view of the most important and beautiful sights of Munich, the friendly city with heart. The “3 TOURS – 2 DAYS TICKET – Sightseeing Tour Munich” offers you for two days all important Munich sights like the “Schloss Nymphenburg”, the “Olympic Area”, “Schwabing” and the “Historical City Centre”. You can ‘hop on’ or ‘hop off’ the bus at overall 12 bus stops whenever you like. The “3-TOURS Sightseeing Tour Munich” offers you interesting and professional commentaries in up to 8 languages. Take your lovely memories of Munich home and experience the “ORIGINAL TOP DECK MUNICH SIGHTSEEING TOURS”. 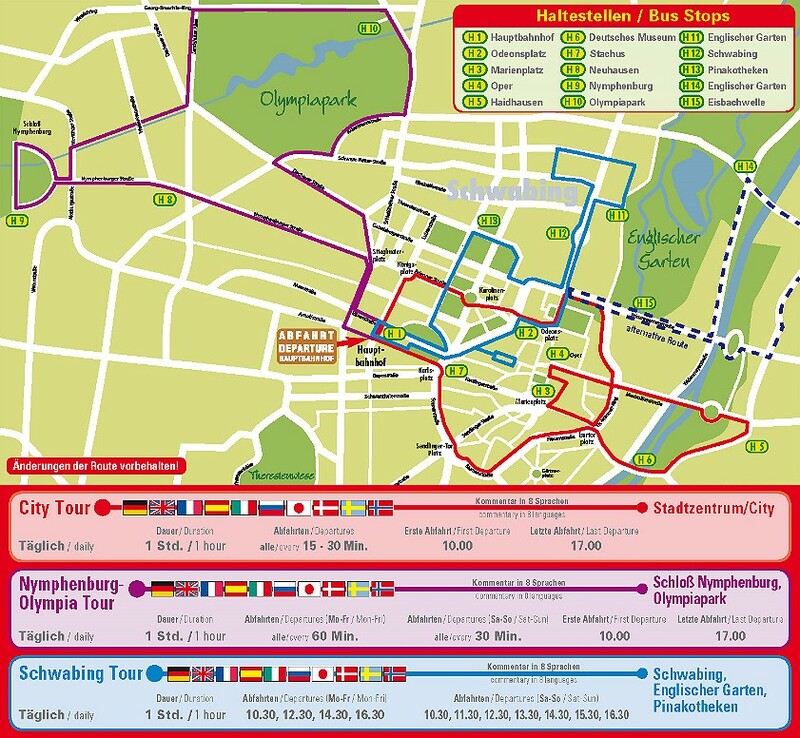 More detailed information on schedules for our CitySightseeing Tours Munich is available on the page “Schedules”. Print@home Gift Certificates for the “ALL TOURS – 2 DAYS” can be redeemed within 4 years from the date of purchase and are exclusively available online.